The West of England is one of the UK’s most prosperous regions and we want to make it even better. 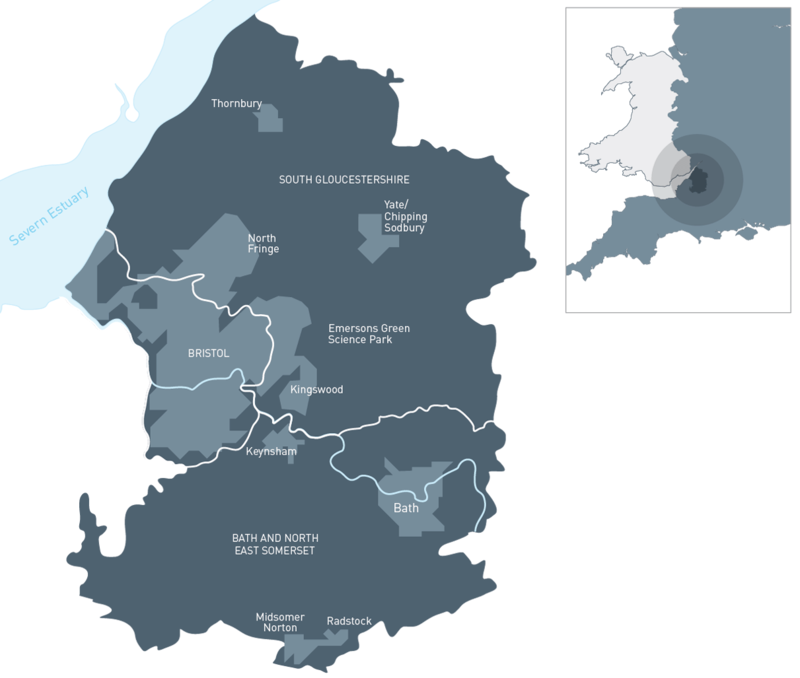 The West of England Combined Authority (WECA) is made up of three of the local authorities in the region – Bath & North East Somerset, Bristol and South Gloucestershire. Working with our partners including the West of England Local Enterprise Partnership, North Somerset Council and other partners, our aim is to deliver economic growth for the region and address some of our challenges, such as productivity and skills, housing and transport. WECA is chaired by Tim Bowles (Conservative), the West of England Mayor, who was elected in May 2017. He and the Combined Authority have been given powers over spending, previously held by central government, on the region’s transport, housing, adult education and skills. Scrutiny and Audit Committees have been established scrutinise and hold to account the new Combined Authority and West of England Mayor. WECA will also provide support to the West of England LEP Board and to the West of England Joint Committee, which includes North Somerset Council.